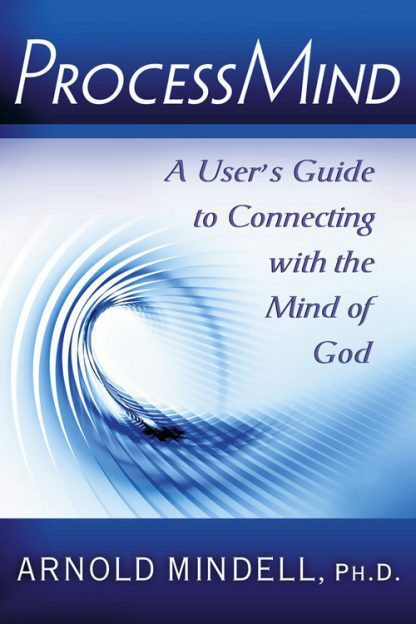 Red Wheel ∕ Weiser Online Bookstore | ProcessMind: A User's Guide to Connecting with the Mind of God by Arnold Mindell, Ph.D.
'"Bridging the considerable gap between mind and nature has been and will most likely remain a worthy goal well into the next millennium. None better pursuing this goal has been the work of Arny Mindell. ProcessMind is his latest work dealing with this elusive subject only this time the value and purpose of it all is made even clearer by bringing in the idea of a Super-mind or Mind of God and how It effects your mind, spirit, and happiness. Einstein said, �I want to know the mind of God, the rest are details.� This book is therapist Arnold Mindell�s response. By processmind he means an earth-based experience of the universal state of consciousness that, he argues, pervades all reality. It is perhaps our most basic, least known, and greatest power, combining the nonlocality of modern physics with altered states of consciousness found in peak experiences. What makes this book unique is that it offers some experience of this mind-state to the reader. Mindell does so by connecting cosmic patterns seen in physics with experiences occurring in psychology and world spiritual traditions. He draws together ideas about Aboriginal totem spirits, quantum entanglement, and nonlocality to describe the �structure of God experiences.� Enhancing his clear presentation are around 80 illustrations and 30 experiential exercises based on tested approaches that actualize our deepest, unitive consciousness. Through rational thinking and earth-based, inner experience, the reader can sense how the processmind�s self-organizing intelligence helps with dreams, body symptoms, relationships, and large-group conflict issues. Altogether, the book is a kind of user�s guide to tapping into an immense power that can benefit our own individual life and, ultimately, the world.